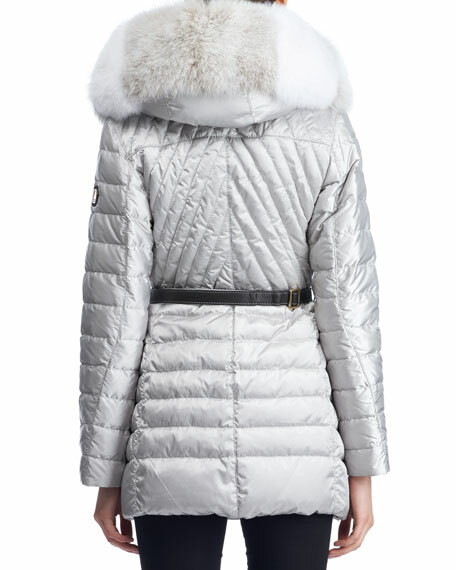 Gorski quilted puffer après-ski jacket with goose down insulation. 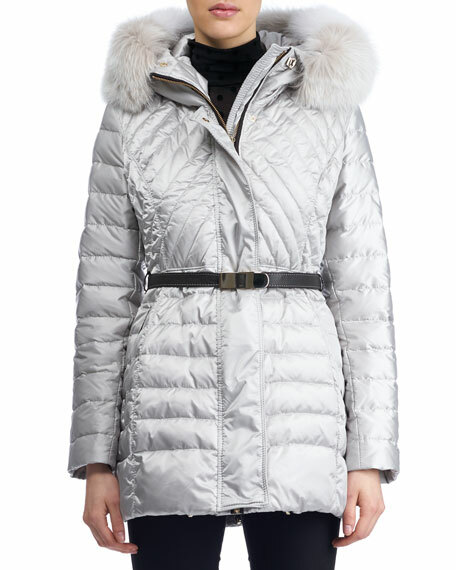 Hooded neckline with dyed fox fur (Finland) trim. Zip front with snap cover placket. Long sleeves; logo patch on left. For in-store inquiries, use sku #2345778.